“It’s Almost Here”: what does it mean? 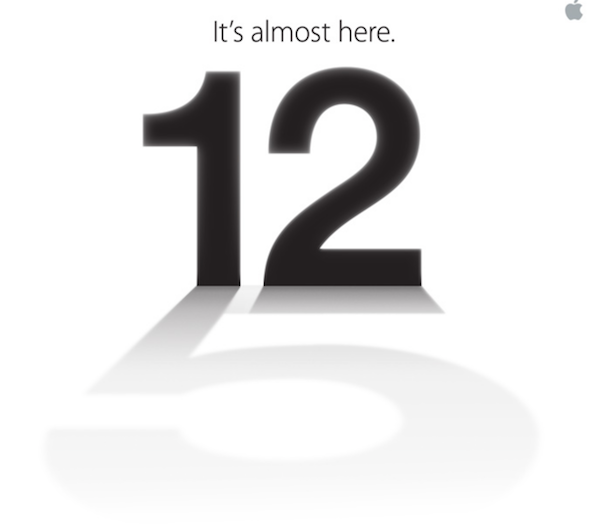 Its might be referred to the iPhone 5 and Apple is hinting somewhat to the launch of this device in the market. The new Apple phone is expected to be anywhere after 12th September now. Apart from this, it is also expected that Apple might launch iPad Mini which is rumored to be the petite version of the tablet. Perhaps, Apple is in mood of launching its two popular devices in the same event. Apple has never stopped itself from letting people “guess” what would be expected in the event. The phone is expected to run on the iOS 6 software which is more likely a faster processor than anything else. It is also expected that the iPhone would have a larger screen which will offer larger display to the users. Apart from this, the device might also have a dock connector which is smaller in size, 4G network speed as well as NFC technology which enables users to pay via their phones. As far as iPad Mini is concerned, it is said to be the smaller version of tablet that has 7” screen. This is said to be an answer to the Google Nexus 7 as well as Amazon Kindle Fire. However, Apple might also hold back the launch of its iPad mini. You never know! So let these speculations just flow as of now! Thousands of people are eagerly waiting for the Apple’s next move-iPhone 5. According to the survey released by TechBargains.com, it is expected that around 3 out of 4 present iPhone 4 users might upgrade to the new iPhone 5 when it comes out on sale. Apple event is highly anticipated and looked forward to. It would only be interesting to see what all launches are made in the event this year. Whether iPad mini will be launched or not is still something that cannot be said!